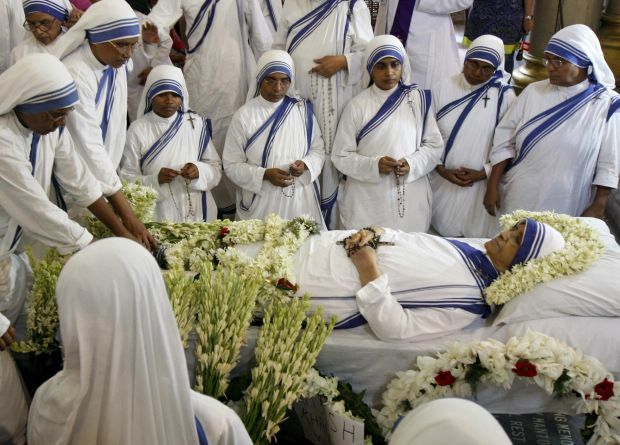 KOLKATA, India (CNS) — Sister Nirmala Joshi, who succeeded Blessed Teresa of Kolkata as superior general of the Missionaries of Charity and led the order for 12 years until retiring in 2009, died early June 23 in Kolkota at age 81. Church and political leaders paid tribute to Sister Nirmala for her devotion to serving poor, sick and hungry people. “She indeed carried forward the legacy of Mother Teresa, a legacy of love and service to the poorest of the poor through her nuns all around the world,” said Archbishop Thomas D’Souza of Kolkata, where the order’s global headquarters is based. “Sister Nirmala’s life was devoted to service, caring for the poor and underprivileged. Saddened by her demise. May her soul rest in peace,” Modi tweeted. Mamata Bannerjee, chief minister of West Bengal state, where Kolkata is located, said she was saddened by Sister Nirmala’s death. “The world will miss her,” she said. 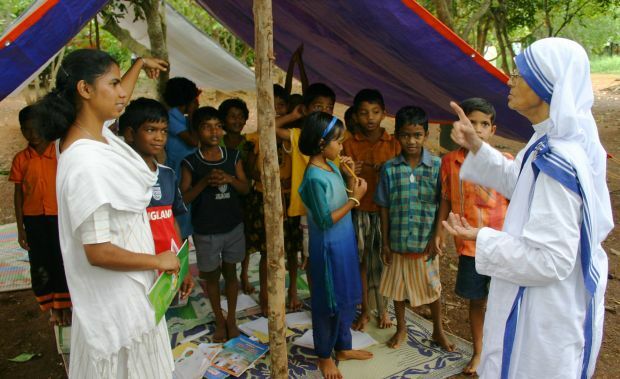 “I express my deep sorrow, heartfelt sympathy and sincere condolences to all the sisters of Missionaries of Charity spread all over the world, and pray to God to give necessary strength and courage to all of them to accept this irreparable loss, and to carry forward Sister Nirmala’s legacy of compassion, gentleness and service to the poorest of the poor and holiness of life,” Archbishop Bernard Moras of Bangalore said in a statement. Sister Nirmala was eldest of 10 children in a Nepalese Hindu family that settled in Bihar state. Born July 23, 1934, she was given the name Kusum, which means flower. She graduated from Patna Women’s College, managed by Apostolic Carmel nuns. She said in a media interview that her call to religious life originated in college at age 16 when she saw a Hindu companion kneel to pray and make the sign of the cross. The daughter of a late army officer, she continued to search for her life’s calling for seven years and became a Catholic in 1958 at age 23. She joined the Missionaries of Charity a month later. Her family was not happy with the conversion, she told the Asian Catholic news portal ucanews.com. One of the few Missionaries of Charity sisters who pursued studies after joining the order, Sister Nirmala supervised the work of Missionaries of Charity houses in Europe and the United States. She also had headed the order’s contemplative wing since 1979. On March 13, 1997, six months before Mother Teresa’s death, Sister Nirmala was elected the superior general of the Missionaries of Charity and served two terms. She turned down a third term in 2009, citing ill health. A funeral Mass planned June 24 at the Missionaries of Charity motherhouse in Kolkata. Contributing to this report was Anto Akkara in Chennai, India.